The incursion into the Crimea was as much a shock to Russia’s business leaders as it was to the politicians in Brussels and Washington and is bound to hurt both domestic and foreign investment this year. 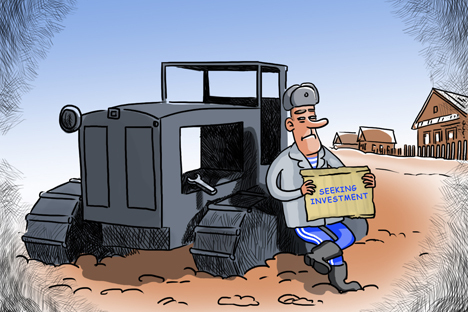 Increasing investment has become crucial to lifting Russia’s economic growth. Growth had been propped up by retail spending, but as 2013 came to an end, even this engine was starting to splutter, which makes investment even more important. Russia attracted a whopping $94 billion of foreign direct investment (FDI) in 2013, making Russia the third largest recipient of FDI in the world according to a February ranking by the United Nations Conference on Trade and Development (UNCTAD), although a big chunk of that was part of the deal between British Petroleum and state-owned oil major Rosneft to acquire the Russian oil joint venture TNK-BP. FDI would have probably slowed considerably this year if the one-off of the TNK-BP deal is counted out, but now analysts are expecting it to fall even harder. As of the middle of March, several big deals near to closing were already looking shaky. Swedish car producer Volvo said in March it was taking a second look at a proposed partnership with Russian state-owned railway equipment and tank maker Uralvagonzavod (UVZ) worth about $100 million to make modern armored cars, thanks to the situation in Ukraine. “A significant decline in FDI – which brings not only money but also modern technology and managerial skills – would hit Russia’s long-term economic growth hard. And denying Russian banks and firms access to the U.S. (and possibly European) banking system – the harshest sanction applied to Iran – would have a devastating impact,” said economist Sergei Guriev. Domestic fixed investment into the Russian economy has been hit, and IPOs will also be hurt. Last year a window of opportunity opened briefly and Russia saw several IPOs get away. But now the IPO plans of several large companies are in doubt, and the timing for Russia’s economy is grim indeed. Ben Aris is the editor-in-chief of Business New Europe.